Home / The Dartmoor Arts / ASC Photography. How often when one is browsing the internet does a stunning photograph of a Dartmoor landscape appear which either makes you think “I wish I’d taken that,” or “wow I must visit that place.”? I would suggest that happens quite often and the chances are that some of those photographs was taken by Anna Curnow from ASC Photography. With the wide-ranging vistas that Dartmoor presents there are always opportunities to photograph these in all the varying light conditions that the moor presents throughout every day. It is these very opportunities that Anna has the skill to capture in all her works. Nothing comes easy in life and in order to be rewarded with a breathtaking sunset or a winter’s evening it can mean braving some pretty harsh conditions and temperatures. This is something that Anna has become accustomed to as all of her photographs show in great detail no matter whether the subject is the bleak, open moor, the lush green pasture lands, foaming seas or ancient woodlands. If you want to see the results of Anna’s hard work and dedication just have a look at her picture gallery on the ASC website. Originally from the fringe moorland town of Newton Abbot where she spent eight years, this provided her first introduction to Dartmoor in the form of happy days spent around Haytor. She then moved to Exeter for two years after which Anna moved to Okehampton which is now her home town. Instilled with an early passion for the moors and the inspiration they provide Anna began photographing the alluring landscapes whilst she was studying ‘A Level’ art at college. Armed with a love of walking and her trusty camera she ventures forth in search of new locations and the challenges they provide for capturing their wide ranging magic. However, her rambles are not just confined to Dartmoor as she often explores the coastal paths and woods which surround the West Country. If asked what time of day does she prefer to be out and about taking photographs Anna will say at sunset when the landscape in bathed in the ‘Golden Hour’ light. Apparently she also enjoys the sunrises but is not too good first thing in the morning. Other opportunities of capturing the landscape which she enjoys are those stormy days when dark threatening clouds temporarily part allowing beams of sunlight to shine through or when colourful rainbows arc their endless way across the land. I would imagine that to get such pictures it would involve some pretty reliable wet weather clothing and a strong very resolve – no gain without pain. So, what does Anna do with her photographs? The simple answer is lots of things, clearly all of her work is available directly from her website at ASC Photography as either framed or un-framed prints or canvases. In addition there is a very attractive range of greeting cards and calendars made from her works, again available from her website. 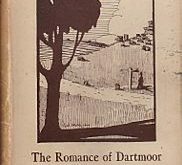 Alternatively there are many places on and around Dartmoor who stock her work for sale, a list of who can be found on her website – HERE. Quite often local businesses and other establishments will commission her work for brochures, guides, websites, books, and even an Ipad cover. Every now and then Anna will post some of her recent photographs on various social media sites such as Twitter, Flickr or Facebook and throughout the year she often exhibits at various galleries, the Princetown Visitor centre and similar venues. So, next time you see one of Anna’s photographs and think; “wish I had taken that but wouldn’t know where to start” why not take the easy option, stay in the warm and dry and simply buy one instead, they are very reasonably priced and readily available.